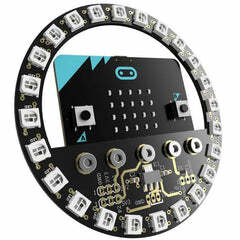 Playing game with your Micro: bit sounds cool, we make this gamer shield for you to relax yourself. 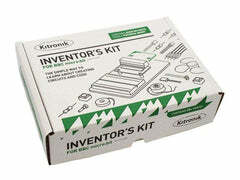 Besides game, you can also DIY your robot, and control your own robot with this handle. There are five buttons and XY joystick on this handle that can make you control your robot or play game easier. Install the countersunk head screw on the side of Micro: bit, put the isolation gasket between the handle and Micro: bit. Install a cap nut on the side of the handle and then lock the screw nut. 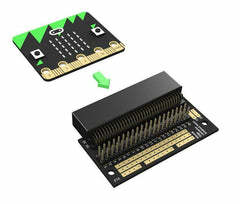 After that, you can realize the signal connection between the Micro: bit and the handle.